If you are looking for an abundance of fish and wildlife to enjoy from your Kayak, look no further than the Back Bay of Biloxi. In addition to abundant fishing, you can spot Dolphins, Pelican, Cormorants, Herons and other water birds cruising the converging waters of “Big Lake”, Bernard Bayou, Biloxi River, and the Back Bay right along with you, looking for their next meal. Bernard Bayou is widest at its opening near the Gulf and is where you will find many casinos. However, the inland area is more protected and more populated and is where you will find a greater abundance of fish and fowl for your enjoyment. And here the fish almost jump into the boat with you. So check out the Back Bay of Biloxi for your next Kayak Fishing trip! 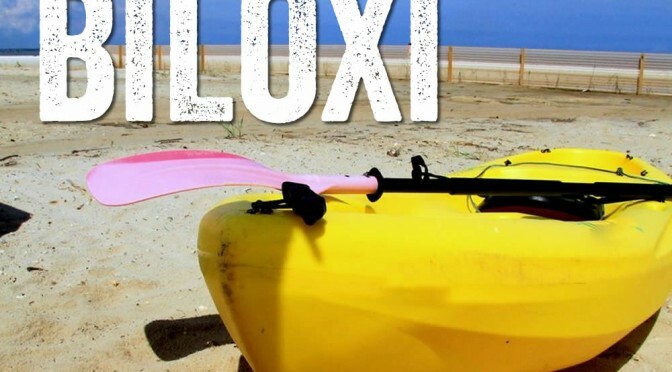 Biloxi Mississippi in nestled right on the warm Gulf of Mexico waters and is a perfect spot for Kayak fishing. Launching is as simple as pulling up to one of many parking spots on the side of Highway 90 or the back bay. Launch and immediately begin using your Kayak to dominate the local flounder, speckled trout, red fish and even spanish mackerel. Fishing in a kayak is both fun an rewarding. it is a great way to be a little closer to nature and can provide great excitement for avid anglers. The first time you hook into a bull red and cruise around under the fish’s power, YOU will be the one hooked for sure! For more information on Kayak fishing checkout our Kayak Fishing Guide. We got to share this picture of the U-Boat model U-166 that was on display on Biloxi Beach. This is a model of the U Boat that was sunk either by a Coast Guard Plane flying out of Houma, LA or the Robert E. Lee's depth charges. The U-166 was found a few years back in about 5000 feet of water. U-Boats were common in the Gulf of Mexico during World War II. The model is very detailed and seems to be to scale.